Town hall to the left,mark access straight ahead. 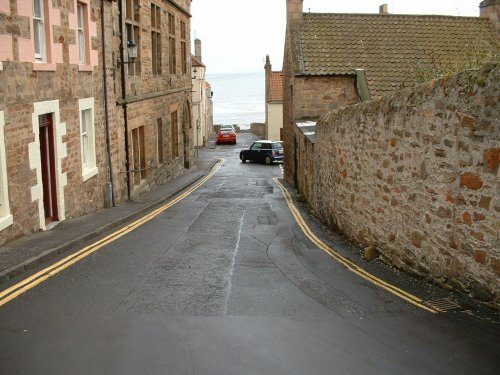 When you reach this area,find some street parking,and head towards the gap in the wall that you see at the end of the road in the picture. View of the Sorlands from the wall. 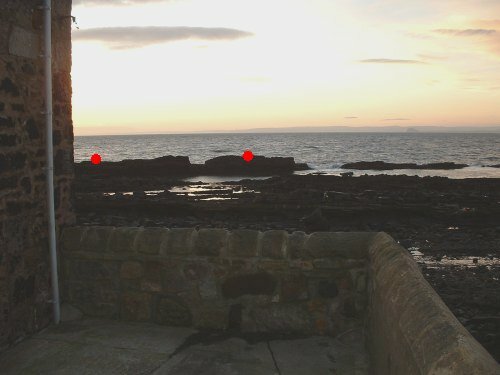 There are steps here that lead down to the beach.Take these steps and head off to your left along the shingly beach for about 100 yards until you come to the house which virtually sits on the beach.At this point head over the rocks and you will find the crossing place to the Sorlands.The tide has to be fairly high in order for this mark to be accessed for any length of time at low water. The sandy area here is one of the three or four places that give you access to the 100 yard or so long rock that is the Sorlands.This area is extremely good for large red cod and wrasse in the summer,but might prove tricky in the winter due to the shape of the skelly running downwards towards the SE. 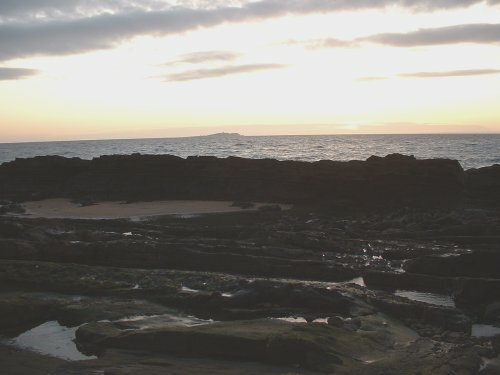 The ground here is very rough with heavy kelp,but quiet summer evenings can produce bags into the teens of fish.